Recently, the Retail Management Certificate (RMC) was recognized by the Department of Labor (DOL) for the value it brings to the retail sector and has been featured as a case study on the DOL’s Competency Model Clearinghouse website. Get the details. The Retail Management Certificate was created by industry for industry, which ensures your employees will learn the most relevant skills and core competencies needed for success in the retail industry. It is designed to help workers gain an industry-recognized credential, and develop key foundational skills that can be applied immediately in their workplaces. The certificate can be completed in as little as one year. Employees who complete the Retail Management Certificate will have the knowledge they need to take on a leadership role in your organization and you will feel confident letting them, because this certificate was designed specifically for the retail industry. 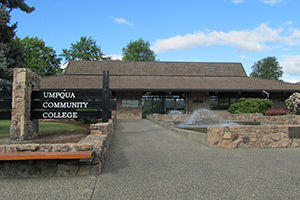 Umpqua Community College (UCC) offers an 8-course online National Retail Management Certificate program. The National Retail Management Certificate program is designed to prepare you for career opportunities and advancement in the retail industry and is endorsed by the Western Association of Food Chains (WAFC) and the Food Marketing Institute (FMI). On average, students can complete the program in 1-2 years depending on course load.